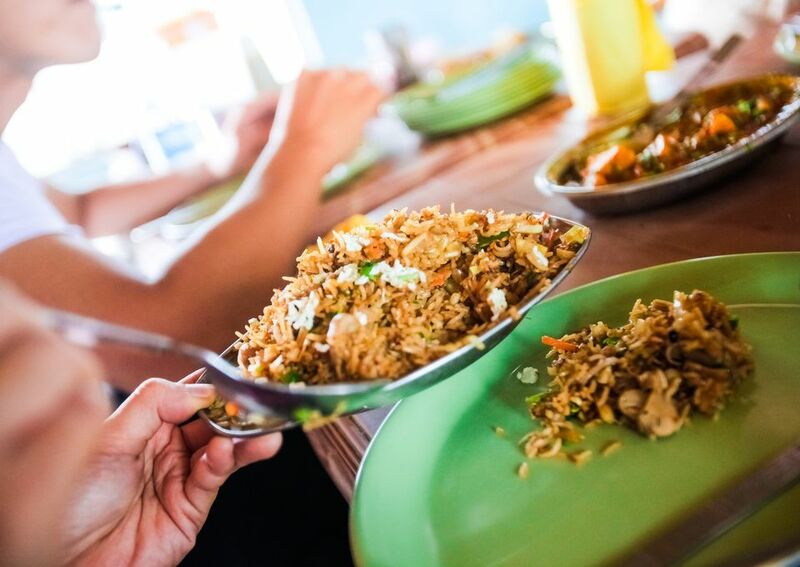 Fried rice is a popular dish at Chinese and Thai restaurants. Make a simple vegetarian and vegan fried rice with this basic recipe using sesame oil and soy sauce. You could also add some tofu or extra vegetables to your fried rice if you like. Fried rice is always a quick and easy meal idea for meat-free dinners. Leftover rice made the day before is ideal when making fried rice. If you like making traditional Asian fried rice, you might want to try another American twist on this classic - quinoa fried rice! In a large skillet, toast the rice in the sesame oil for a minute or two, until lightly browned. Add water and cook the brown rice until done, about 20 to 25 minutes. In a separate pan, sautee the onion, cabbage, carrots and peas in the olive oil until veggies are almost soft, about 5 minutes. Add the cooked rice and stir well until combined and heated through. Add soy sauce and combine well, adding more if desired. Bok Choy Best Recipe Ever!